NL Scientific Instruments Sdn Bhd is recognized as the Asia leader material testing equipment manufacturer for construction material such as concrete, soil, cement & mortar, steel, aggregates & rocks, asphalt and bitumen. We are actively involved in Malaysia universities, polytechnics and Road Development Authority’s projects. The challenges to turn the findings and research ideas of these customers into real functionable equipment enable us to accumulate our deep technical know-how in material testing equipment fabrication. In the international market, we are famous and growth rapidly due to the globalization process which demand for high quality, compliance to standard and valuable products. Our R&D team consistently research and further developed our products towards highest accuracy, sustainability, user friendly, ease of maintenance and economical. Our products also comply to most of International Standard such as BS, EN, ASTM, AASHTO and others. The development of the state of the art in production planning and control ensure every NL Scientific product produced at highest quality and tip-top condition. Our quality policy which is production towards perfection for total customers satisfaction enable us to keep going produce the better and better products over time. The customers demand of user-friendly equipment and digital control interface triggered the continual research & development in NL Scientific. This enable us to forward and leading in Asia Region. Commitment with uncompromised quality mindset allow us to deliver our equipment with sustainable precision, consistent accuracy and reliable year after year. In material testing industry, the ex-stock requirement on hot selling items and replacement spare parts is very important to avoid downtime. Therefore, NL Scientific having real time inventory control system to make sure the safety stock level was achieved at all time. Our customers are impressed with our short respond time and excellent on time delivery performance globally. We perform top level of lifelong technical support and excellent after sales service to our customers. Our quick respond on customers request was successfully winning the customers loyalty and reputation in the market. 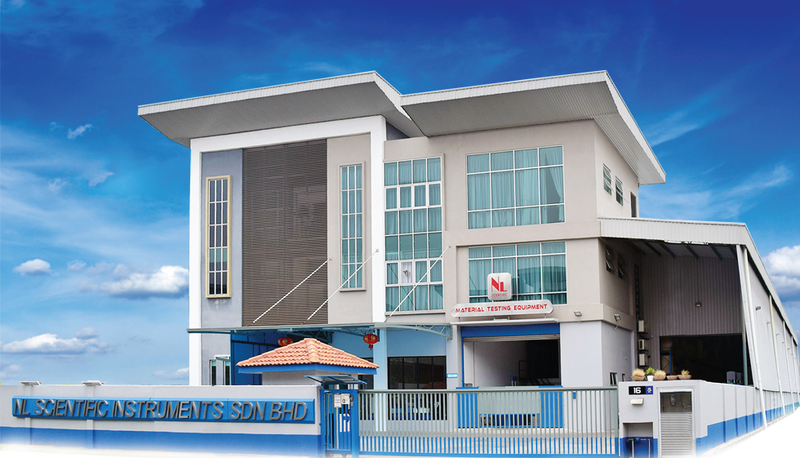 NL Scientific Instruments Sdn Bhd has a dynamic management team and experience technical staffs which constantly working on new invention and development of more efficient testing equipment. This was contributed to the products portfolio reaching more than 3,000 products. 2011 - Asia Pacific Top Golden Brand Products. 2017 - ISO 17025 Certified.